While still a student at Washington University in St. Louis, Sam Franklin founded Greenvelope, a personalized electronic invitation startup aimed at replacing paper wedding and formal invites. Growing up in Seattle and being connected to the outdoor experiences of camping, biking, and fishing, Franklin also though it important to consider the natural world when launching Greenvelope. By making his business paperless, he was hoping to have customers connect with the idea of saving trees, time, and money. Additionally, Franklin donates a percentage of every sales he made through Greenvelope to Mountains to Sound, a forest maintaining non-profit. What did launching Greenvelope teach you specifically that has informed your approach with FilestoFriends? A lot! Since I am not a developer there was a big learning curve to understanding how the web works (ie. Who should I use for hosting? What is DNS? How do I find developers? How do I create clear specifications? What is the best program for wireframing? How long should a feature take to develop?) These questions didn’t mean too much to me when I started, but I now have these answers which make creating a website much more methodical and efficient. Since I already have a development team in place and know all these answers, I was able to create FilesToFriends.com in less than a week, which would surely have required me at least 3-4 months without any experience. It wasn’t hard to convince the team to work on this “fun” project, which we knew was relatively straight-forward to build, a much needed service, and has great potential! Do you feel it important to have a particular business vision or philosophy in order to steer your startups? If so, how do you approach it? I think a clear vision is very important to make sure our development time is most efficient and makes sure our website code is flexible to accommodate long-term features. I plan out about a six months backlog of features and keep everyone on the team up to date with the pipeline. While I have long-term goals and ideas, the web is changing so quickly that it is hard to know what users will want and/or expect three years from now. Therefore, I don’t want to distract the team from the short-term goals by overwhelming them with ideas we may or may not utilize. Our users are critical for helping to shape our vision. We are constantly improving the product based on user feedback. Can you talk about the technologies of Greenevelop and Files to friends? Also, how did you go about doing the necessary research and purchasing of resources in order to launch FilestoFriends? While both websites provide entirely different services, the underlying technology is actually the same. We use the same coding language, the same “cloud storage,” and the same servers. This makes development and maintenance very efficient between the two sites. In truth, we had already built much of the core FilesToFriends.com functionality for Greenvelope. For example, we let Greenvelope users “upload” images to their Greenvelope account and then sync those images in “cloud” storage, which is the same technique we use to upload and store FilesToFriends.com files. The majority of the work for FilesToFriends.com was coming up with a fun brand and communicating that brand to the designers. I read that you had saved money from your high school job in order to fund Greenvelope initially. How did you fund the launch of FilestoFriends? I guess you could say Greenvelope funded FilesToFriends.com… I used the Greenvelope team (developers and designers), so we didn’t have any additional employee overhead. 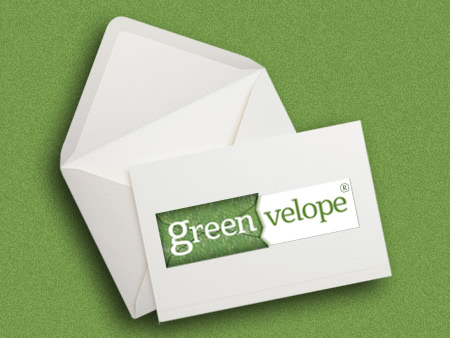 Also, we already have servers in place for Greenvelope that are used for FilesToFriends.com. As traffic grows we will need to increase our server offering, but the added ongoing costs will be relatively minimal. 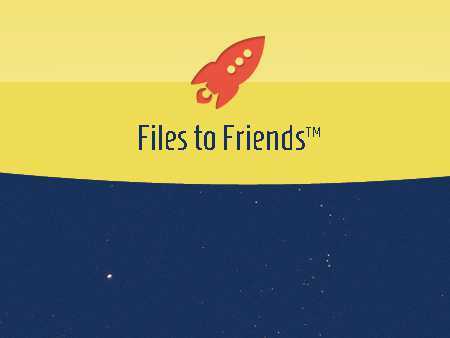 With a service like Dropbox which offers a minimum number of Gigs for free, why do you think FilestoFriends is better suited to share larger sized data? FilestoFriends is free at the moment. Do you plan to monetize it by charging storage space like Dropbox or do you plan to charge depending on file size or monthly transfers? What challenges specific to launching FilestoFriends have you been better suited to address because of your experience launching Greenvelope? I think the hardest part about starting an online business (or any business for that matter) is assembling a team and surrounding yourself with talented individuals. Luckily, I have had time to develop a solid team for Greenvelope that works efficiently as a unit. This was my biggest advantage going into FilesToFriends, which allowed for such a quick execution. Is there a specific company culture at FilestoFriends that’s reflected in your idea for the business as a whole? To be honest, we do not have a company culture like we do at Greenvelope, because the company is so new. I believe a culture takes time to develop and requires a full-time team working towards a clear vision (at which point it develops somewhat organically). Our team’s main focus at the moment is Greenvelope, but we will continue to add resources to FilestoFriends as it scales. A key cultural understanding at FilesToFriends that carries over from Greenvelope is simplicity: only, build what customers need – nothing more. What advice would you give to other entrepreneurs as young as yourself? Keep it simple. Discuss your ideas with people you trust. Surround yourself with talented people. Don’t be afraid to ask. What are the elements you like most about launching startups and being involved in entrepreneurship? The feeling of creating something out of “nothing” and see that vision come to reality is very exciting. Hearing positive feedback from customers never gets old! Knowing that people are using my product and it is making their lives a little better keeps me inspired. I also like that the “sky” is the limit with an Internet business and there is always something to work on. When you’re not working (which is most likely much of the time), how do you like to unwind? 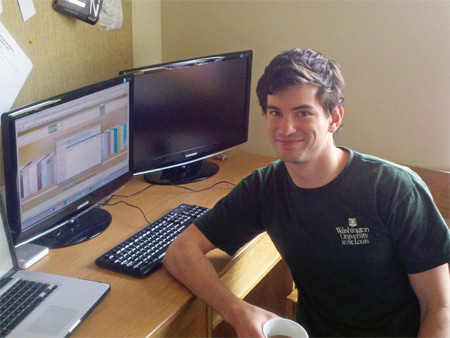 You are right, when I was in school at Washington University in St. Louis and running Greenvelope there really was not much time to unwind. Now, that I am on a leave of absence from school, I have managed to maintain a reasonable schedule. Exercise is important for me to unwind, so I try to work out everyday (biking, gym, or yoga) and spend the summer weekends camping and hiking. Feel free to send me an email (sam at filestofriends dot com). I am accessible and happy to talk!